The human visual system is an amazing network of anatomical structures. 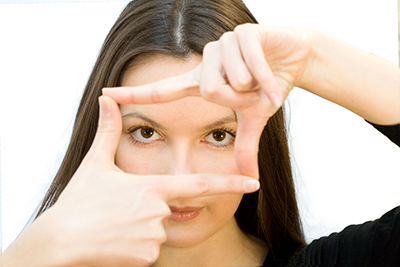 Even minor changes in the structure or function of a component of the eye can significantly affect visual acuity. Due to the fact that we place such heavy reliance on our visual system to receive and process information, it is essential to keep the eyes functioning properly. Visit your eye care provider regularly for a vision check-up to ensure any of these common eye conditions are diagnosed and treated properly. Dry eye is a very common — and irritating — eye condition. Dry eye becomes a problem when your eye no longer produces an appropriate tear layer. Tears are essential because they lubricate the surface of the eye, protect against infection, and ensure clear vision. Dry eye can be a result of aging, environmental irritants, certain medications, and certain medical conditions such as thyroid problems, diabetes, or rheumatoid arthritis. An eye care provider may recommend dietary changes, medications, or surgery to rectify the problems associated with dry eye. If the cornea, the front part of the eyeball, is not shaped correctly, light does not focus properly on the retina. This will result in blurred vision, no matter how far you are from an object. Although many people have a slight amount of astigmatism, it only becomes a problem that needs correcting when it causes visual distortions, blurred vision, headaches, or eye discomfort. Fortunately, astigmatism is easily corrected by prescription glasses or contacts.